In a spread of Filipino food, among platters of fried fish and braised meats and their bold layers of acid and salt and funk, lies the history of a people. It tells a story in parts. An abundance of sun-loving produce and seafood—fatty fried bangus (milkfish), plump prawns afloat in mouth-puckering sinigang (a sour soup), punches of unapologetically pungent bagoong (a fermented shrimp or fish paste)—tells of the natural resourcefulness of the inhabitants of the tropical, archipelago nation of over 7,000 islands. The omnipresent sting of vinegar, to braise beloved adobo or cure ceviche-like kinilaw, is a reminder of their solution to pre-refrigeration food preservation in a sweltering climate. And then there’s spam. Slapped in sandwiches or fried up and served with garlic rice and eggs—a modern Filipino breakfast of spamsilog—the canned meat is a remnant of the nation’s era of American colonization in the first half of the 20th century, and U.S. soldier occupation during and after World War II. Filipino is the original East-meets-West “fusion food.” A multi-layered cuisine shaped first by its motherland, and then by the successive foreign hands that found their way to it, Filipino food is diverse, dynamic, and adaptive; it has a knack for borrowing things from others but making them its own. It’s no surprise, then, that it’s still changing. Despite its Spanish name, adobo truly belongs to the Philippines. Beyond its defining vinegar component, there exist as many variations as Filipino people: doctored with soy sauce, spiced with turmeric, or infused with coconut milk (pictured), to name a few. There’s the layered history, for one, and also the geographic variation—with 7,641 islands and 144 ethnolinguistic groups, many with their own microclimates, native ingredients, and specialty dishes, the nation—and its cuisine—is hardly homogenous. That diversity continues to blossom as millions of Filipinos have left home and built new ones abroad, taking their familiar foods and flavors with them and adapting them to new environments. Chio-Lauri is one of them. Born in Manila and raised in the Philippines’ culinary capital of Pampanga, she grew up watching her lola (grandmother) cooking in the kitchen from before dawn, grinding umami-rich shrimp heads with a mortar and pestle to add to tortas or sinigang. She left the country in her early twenties. Since then, she’s lived in six others, many with little Filipino food presences, including her current home in the UK. She longed for her food to be more accessible globally. The best means to her goal, she decided, was storytelling. “To make sense of Filipino food, it has to be experienced, with all the emotions and sensations that are associated with it,” she writes. She had her own story to tell, but she knew it wasn’t enough to capture a cuisine. And so she called upon a community. Leveraging her social media influence and her Filipino food website, My Food Beginnings, Chio-Lauri reached out to Filipino voices around the world; 30 of their stories, narrowed down from about 70 submissions, are compiled in her book. The voices are varied: some first-generation immigrants and others third; one raised in the slums of Manila and another in a mansion in Ilocos; one a college dropout turned food truck owner and another the White House executive chef. They frame ingredients and recipes with childhood memories and new epiphanies. For one contributor, a Filipina who moves miles away from family and friends to rural Arkansas, thoughts of habichuelas, her heirloom family dish of white bean stew taught to her by her mother, offer comfort. 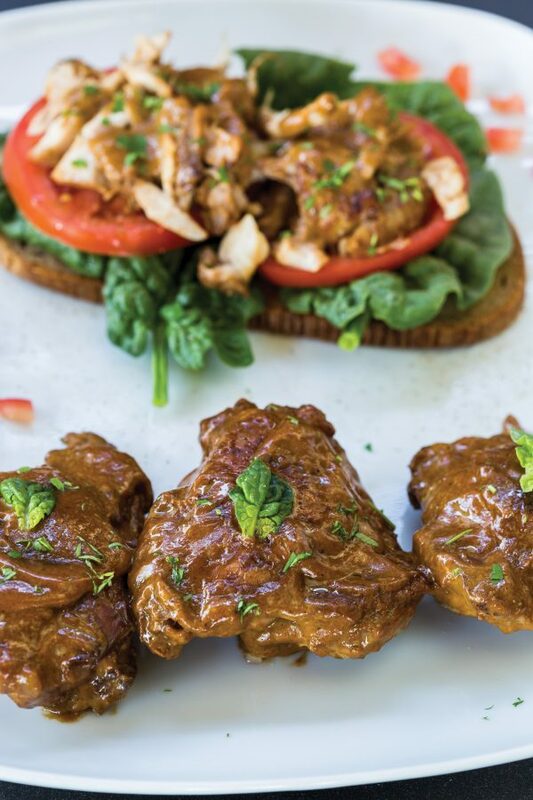 Another contributor is on her own in the kitchen—with a lola who was fiercely protective of the realm of cooking, she had to piece together her own version of her lola’s chicken adobo with the help of her father’s memory. Sometimes continuing tradition takes more effort. 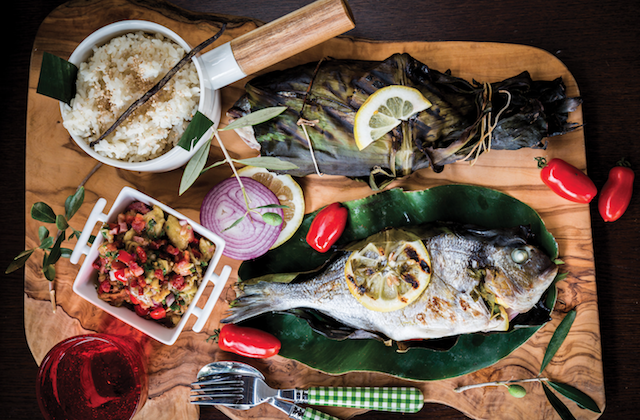 The book’s photographer, Rowena Dumlao-Giardina, spent years hunting down and painstakingly nurturing rare seeds of the tropical plants of the Philippines in her adopted home of Italy, to have ingredients like banana leaves to wrap her favorite inihaw na isda, stuffed fish grilled in the leaves, reminiscent of family get-togethers back home. Their recipes, though all rooted in tradition and a shared homeland, are as varied as their stories. Chef Christian Andre Pettersen, son of a Norwegian father and a Filipino mother, reinvented crispy pata, a traditional feast dish of boiled and deep-fried pork leg remembered from his first visit to the Philippines, into an elaborate, 11-component creation complete with cabbage-truffle foie gras and lingonberry powder. (The recipe he provides is more home cook-friendly.) It helped him win 2018 Nordic Chef of the Year. On the other hand, in her own recipe, a traditional seafood sinigang inspired by her lola, Chio-Lauri simplifies the process—opting to boil shrimp heads to extract their flavor, rather than take to the mortar and pestle, for instance—to better suit her lifestyle without sacrificing authentic flavor—or Lola’s wisdom. The soup is finished with a gremolata inspired by her Italian husband, but with roasted garlic, the preference of the Filipino palate, instead of raw. “Filipino food culture, in many ways, has always been fundamentally adaptable and inclusive yet also individualized,” Chio-Lauri explained. For evidence beyond the recipes, look to the meals. Filipino meals are generally sit-down, family-style affairs, and dishes are shared, whether eaten kamayan (by hand) traditionally from a banana leaf-lined communal table, or with spoons and forks (not chopsticks, thanks to European influences). In the United States, Filipino food is making strides into the mainstream. A cuisine once largely unknown and unexplored by non-Filipinos—or limited to “a sort of food that you would only eat on a dare, on Fear Factor,” Chio-Lauri said, a gross misunderstanding—is increasingly piquing the interest of curious minds and palates. But as with any “hot” cuisine, Filipinos have been eating this way for centuries. So why is it becoming popular now? For one, Chio-Lauri thanks greater media attention and representation. Food authorities like Anthony Bourdain and Andrew Zimmern have been predicting the mainstream rise of Filipino food for years—Zimmern famously prophesied it to be the “the next big thing in America” back in 2012—and now, Filipino chefs and restaurants across the country are getting their turn in the spotlight. She points to Bad Saint in Washington, for instance, which serves up traditional dishes like sizzling sisig and a variety of adobos. 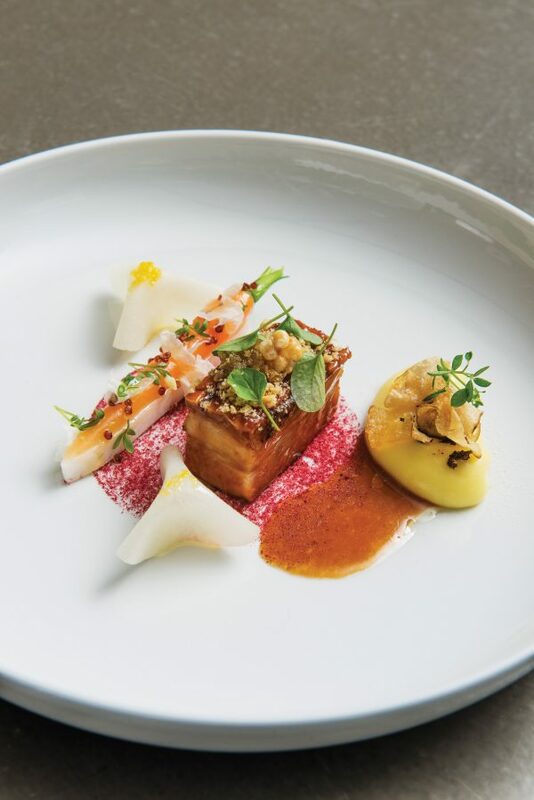 The restaurant was named Bon Appetit’s second-best restaurant in America in 2016 and earned a Bib Gourmand distinction in this year’s Michelin guide to the capital. Behind the change, she identifies a generational shift. Previous generations of Filipino immigrants were largely necessity-driven, focused on assimilation and building new homes for themselves. But now, second- and third-generation Filipinos with established foundations are stepping up and out. “They want to explore their identity, they want to connect to their roots and they want to express themselves through the food and culture,” Chio-Lauri said. It’s the sort of evolution and resilience—factors that enable, not work against, each other—that’s embedded in their history and cultural DNA. 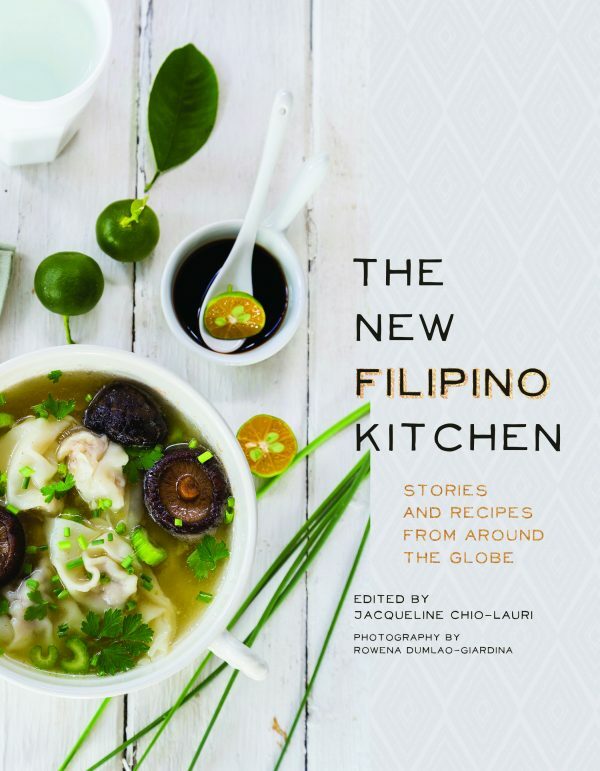 “The New Filipino Kitchen: Stories and Recipes From Around the Globe,” edited by Jacqueline Chio-Lauri ($28).